Bronx is old school. Its terrain is gritty, real and demanding of your best. It rewards you though. Music history oozes from there. Many of our heroes were either born here or passed through. That mixture of tough, demanding but fierce passion is born out of love for community, for raza (people) and for art. Pregones is a Spanish for street crier. Whether selling, proclaiming or announcing, the pueblo is filled with the sounds of Pregones. The theater where this performance was recorded is an example of proclaiming, self-realizing. When no one would invest in the South Bronx, the South Bronx invested in itself and a neighborhood theater was born. Tough meets passion, dedication meets hard work and the Bronx rewards the result. Pregones is a testament to neighborhood activism. Albert Marques is tough but sweet, a Catalan transplant from Spain who created a life for himself in New York, and whose passion at the piano is only matched by his huge humanity and kindness. Walter Stinson is bass. He lives by his instrument and pours his soul into every note he plays. Zack O’Farrill, a gentleman I know quite well, has an encyclopedic knowledge of music, an intellect to match and the virtuosity/creativity at the drums to realize those qualities musically. The three of them are fierce, tough and passionate, but tempered by love and mad respect for each other. This is the secret to their Art. Music is a demanding discipline, not for the faint hearted, one must be tough with a thick skin, yet flexible and passionate, willing to be vulnerable. All of this is impossible without that greatest of all humilities, love. Put your heart out there, lay your ego aside, and let the greater good shape your art. 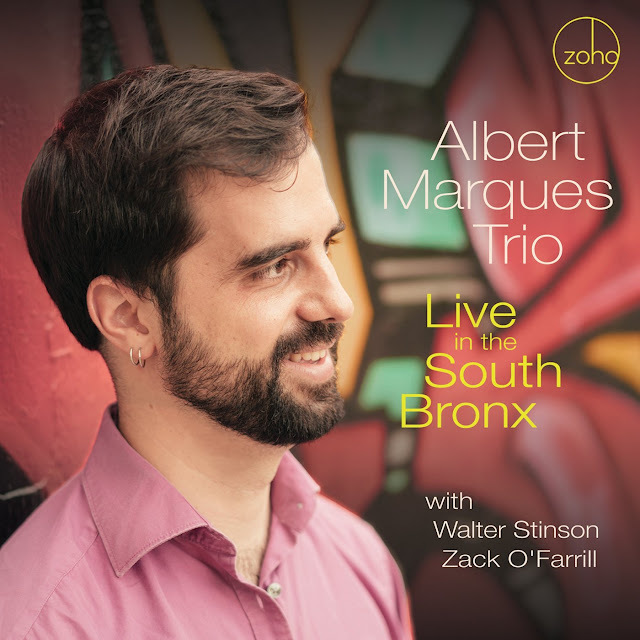 This is the story of the Bronx, the story of Pregones and the story of the Albert Marques Trio. Doble Sur (Double South) is not a Spanish style of jump rope. It is a seamless blend of Afro Caribbean, Afro Mediterranean performance practice. It is montuno meets Phrygian in technical language, but for the layman it is rice and beans with manchego and chorizo. This piece is not solo-derived, but rather built on bold strokes of color and rhythm. This composition, IDN, first made its appearance on their self-released debut recording but makes its presence again here on their ZOHO debut, as if put through fire, the dross burned away and a leaner, meaner version emerges. Walter’s introduction is unrestrained without being indulgent. The trio responds telepathically to the piano solo and it morphs, as the tension builds to the bass and drum improvisation. These young masters give Iris, the Wayne Shorter composition, a loving treatment. You can hear the reverence and awe they have for Wayne. Again Walter wears his heart on his sleeve for his beautiful bass solo. Albert follows suit giving us a glimpse into a firmly Spanish take on jazz balladry. Jazz Is Working Class takes on many who would argue that it is the sport of the elite. Before there were expensive buildings to maintain and seasons to program, jazz took place without soft drink sponsors, and was subversive. This composition captures the rebelliousness of an art form that belongs to the pueblo no matter how much plastic you cover it in. The provocation between Albert and Zack that leads to the drum solo is confrontational and illustrates the need for jazz to never abandon its hardscrabble roots. Cançó Pel Pare (Father Song) is beautifully appropriate to Albert who in this piece celebrates the center of his joy, being a young dad to a beautiful baby daughter, Aviva. If you know this about him, you’ve discovered his soul. Being young and a working musician with a new family can be a terrifying reality so this piece has both an edge and a reassurance to it. Bill Withers is a big hero to a lot of us jazz musicians and one of his masterpieces is Ain’t No Sunshine. It is piece about love that is so real that there is cost involved. Not the fluffy it’s all about “me” love, but the kind that makes demands This is the love that playing instruments is about. It costs, and it involves some measure of sacrifice. Musicians understand this. To love is to give, to hurt, to miss, to fear but most of all to groove. Walter Stinson’s original, Allen Watts, is a portrait, a miniature. Like so much of Walter’s writing it is definitive and unlike anyone else’s work. There is an introspective quality to Albert’s solo that feels integral to the composition. When you are a musical painter, like Walter, your solos have to reflect the quality of contemplative study. I don’t know what Zack has A Foggy Conscience about (and maybe I don’t want to know) but I do know that this is exciting compositionally. It’s new but doesn’t feel like a belabored new. It feels like honest and rooted exploration. The dark, brooding quality in this piece has no relation to the nature of the Zack we know. But honesty as a composer is about vulnerability and wearing your explorer badge. I love the fluidity and ESP these three share, as they take the composition out for a walk. This is not cartoon jazz, or stereotypical Latin Jazz trio. It is modern, fusing elements of Rock, Jazz , Flamenco, R&B with a healthy dose of introspection. Just because I know these guys, I can assure you there isn’t a fake moment in the recording. Every note is played with grit, reality, and love. It seems easy to make records that fit a neat category, affirm one’s identity and serve as musical wallpaper. It is a lot more difficult to go on journeys that demand honesty, a willingness to open up, the ability to withstand grit and funk, and to be real. But boy oh boy, do these young masters reflect the Bronx, Pregones and the pueblos they come from, boy do they reward! Produced by Arturo O'Farrill. 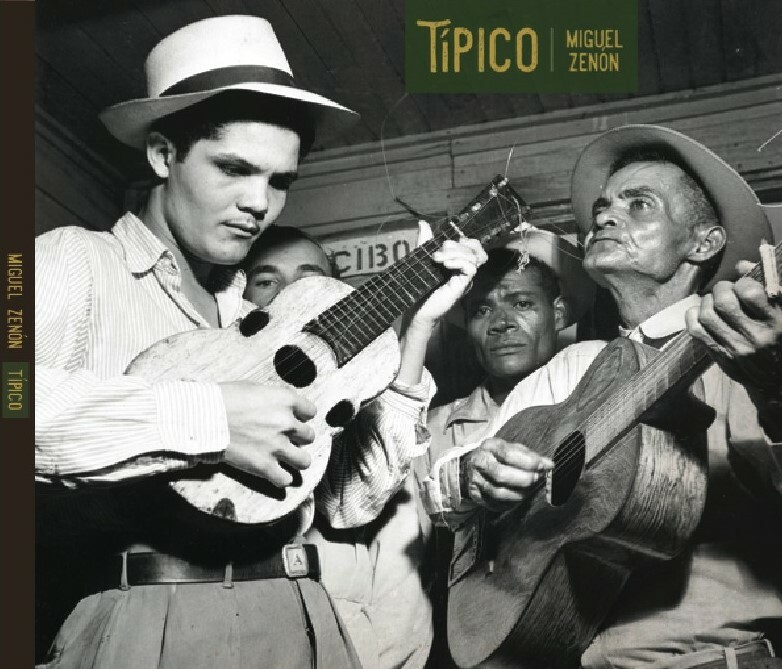 Recorded live at the Pregones Theater in the South Bronx, NY. It’s 2017, a New Year that’s sharply breaking with the past. I woke the week before the inauguration with a phrase -“seismic storm”- lodged in my head, and it’s become my mantra. Ominous rumbles that concerned us in 2016 are now erupting, and fissures are widening. In Antarctica, a rapidly growing crack in ice shelf Larsen B may break off any day, releasing inland waters. In the UK, talks about executing Brexit have begun. And closer to home, here in Washington DC, socio-political-legislative tremors following Trump’s election shock us daily, their potential repercussions for the environment and our federal lands and monuments, breaking our hearts. The surprising outcomes of the 2016 UK Brexit vote and the USA presidential election put both nations in the global spotlight. It’s thus fitting that Cuneiform’s four Winter 2017 releases have either an American or Anglo-American focus. It’s also fitting - possibly essential - that they are either cheerfully uplifting or thoughtfully consoling. Man is a resourceful and resilient creature, but a warm smile, shared laugh and/or deep discussion can help one cope in troubling times and help heal ruptures between fellow citizens. Cuneiform’s Winter 2017 releases include 3 jazz titles by The Microscopic Septet, The Ed Palermo Big Band, and Chicago / London Underground; and a rock album by Thinking Plague. Our new albums by two long-standing and widely beloved NYC-based ensembles - The Microscopic Septet and The Ed Palermo Big Band - should appeal to popular audiences and jazz afficionados alike. A wide embrace is welcome antidote to polarized times. In Been Up So Long It Looks Like Down to Me, The Micros Play the Blues AND jazz, brewing both home-grown musics into an uplifting, surrealistically swinging and distinctly American potion: Great American Music from a city and country that remain Great. To celebrate this release, the Micros (co-led by co-composers Joel Forrester and Australia-based Phillip Johnston) will reunite in April 2017 for record release gigs at Smalls’ Jazz Club (NYC 4/2/17) and The Falcon (Beacon, NY 4/6/17). 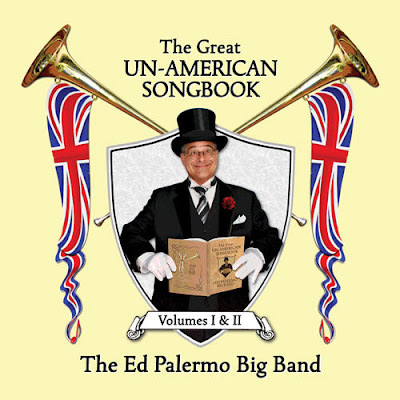 In the double-disc release, The Great Un-American Songbook: Volumes I & II, the distinctly American Ed Palermo Big Band smiles broadly and takes a determined Anglophile stance. Palermo selected his favorite tunes from across several decades and styles of British pop and rock and playfully re-arranged them for his 18 piece jazz big band. EPBB will present record release parties at The Iridium (NYC 2/11/17) and The Falcon (2/13/17) that will undoubtedly be highly entertaining events. Fans of experimental jazz and improv will welcome our release by Rob Mazurek’s new Chicago/London Underground, an Anglo-American augmentation of his longstanding Chicago Underground Duo with Chad Taylor, featuring British improvisors Alexander Hawkins and John Edwards. Called A Night Walking Through Mirrors, the album transcends genre, national and sonic borders; Mazurek's visionary 21st century trans-global music serves as antidote and antithesis to a dystopian future clad in medieval walls. Last but not least, our February 2017 releases include Thinking Plague, a Denver-based post-rock group led by composer Mike Johnson. Their music - sometimes described as avant progessive or Rock in Opposition - fuses rock and classical influences, instrumentation and vocals. Hoping Against Hope provides us with an example of how to survive 2017's Strange New World, making poetry amidst poison: "The Great Leap Backward" laments a “rising tide of ignorance” and a time “When commerce swallows culture". As I began writing this on Tuesday January 24, 2017, I saw on Twitter that a National Park Service account was being censored. Several tweets of climate data facts and a pinned tweet of text ("and by such means as will leave them unimpaired for the enjoyment of future generations") from the 1916 Organic Act that established the NPS were removed from the Badlands National Park official site. (On Jan 20, the main NPS twitter account had been shut down because of an inauguration photo tweet.) In revolt, "Alternative" NPS Twitter accounts (@AltNatParkSer and others for individual Parks) began popping up like prairie dogs. The next day, Greenpeace mounted a banner with RESIST on a crane overlooking the White House. A march on Washington by scientists and environmentalists is now planned for Earth Day. Rogue sites for other government agencies devoted to science, the environment and/or national parks and federal lands continue to arise. How fitting that the Resistance began with the National Park Service, the agency that oversees the Statue of Liberty, the National Monument that is America's symbol of freedom from tyranny. Only 6 months ago, in August 2016, America joyously celebrated the National Park Service’s 100th Anniversary. Cuneiform sent out an eblast, spotlighting the Organic Act, that celebrated the NPS Centennial and announced Cuneiform's release (October 2016) of Wadada Leo Smith’s epic double disc: America’s National Parks. Since then, Smith's musical tribute to our National Parks - 'America's Best Idea' - has received international critical acclaim and appeared on countless Best of 2016 lists worldwide. America's National Parks was named #1 Best Jazz Album of 2016 by The Quietus ; #1 on Dusted's Best of 2016; #2 on NPR Jazz Critics' Poll; #6 on Slates' Best Jazz Albums of 2016; and in The New York Time's Best Albums of 2016. And now it's 2017. The legacy of Wadada Leo Smith's America's National Parks continues to grow, as new listeners discover it. But the future of America's own National Parks and federal lands is in immediate peril. On Jan. 19, a Guardian article revealed that while Americans had been reacting to assaults on Obamacare, women's rights and civil rights (1/21/17 was the Women's March on Washington), Congress quietly passed legislation easing the way for the new administration to give away our federal lands. In ensuing days, amidst chaos over travel bans, a blizzard of legislative bills were introduced to begin selling off federal lands, remove law enforcement on these lands, and dismantle environmental protections (water, drilling, etc). New attacks continue to arise daily. These assults are connected. While draining our nation of natural resources, oil/gas/coal corporations and private developers would benefit. "Seismic storms" require that we #Resist and work to preserve and protect our public lands. America's National Parks and federal lands are the priceless Common Grounds on which our divided nation can come together as One people and eventually heal. Music, like nature, is essential during difficult times: it soothes the soul, warms the heart and strengthens one's resolve. 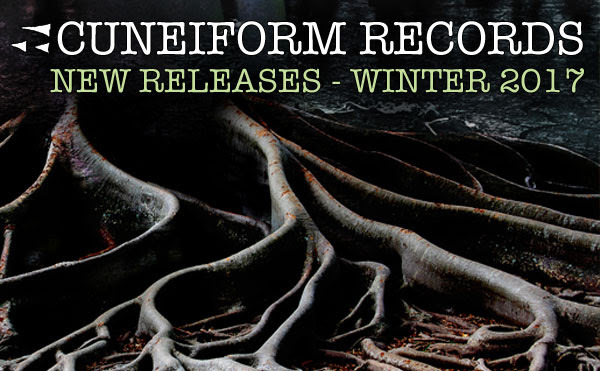 We invite you to listen to our Winter 2017 releases, and we hope that you'll enjoy and spread the word about them. It would bring everyone a smile in a much-needed time. And if you love nature as well as music, we encourage you to contact your government representatives and tell them to keep America Great by preserving our great lands. For the last two decades the Chicago Underground Duo  Rob Mazurek on cornet and electronics and Chad Taylor on percussion, electronics and mbira  have created music meant to open minds and explore alien territory. Now, on A Night Walking Through Mirrors, they’ve created a new Transatlantic partnership in the form of Chicago / London Underground, inviting a pair of renowned British improvisers  pianist Alexander Hawkins and bassist John Edwards  into the creative fold. The result is an expansive sonic adventure where every unexpected note and alchemical reaction runs counter to the limited imaginations ruling social media name-calling and clannish provincialism. 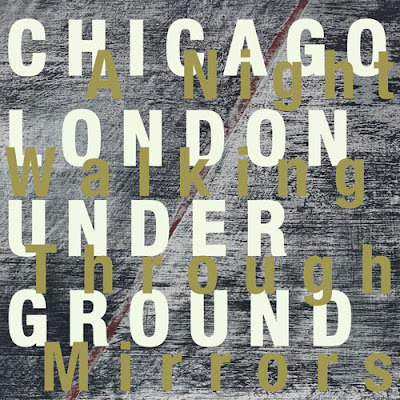 A Night Walking Through Mirrors, released on Cuneiform Records, documents the first meeting of these four artists, recorded live at London’s Café Oto in April 2016, during a two-night run that marked the Chicago Underground Duo’s first performances in the city in a decade. To celebrate the occasion, Mazurek and Taylor invited two London-based artists with whom they’d never collaborated but they deeply admired to perform with the duo. The London contingent of the Chicago / London Underground certainly fits those requirements. Alexander Hawkins is a pianist, organist, composer and bandleader whose highly distinctive soundworld is forged through the search to reconcile his love of free improvisation with his profound fascination with composition and structure. He’s recorded or performed with a vast array of contemporary leaders of all generations, including the likes of Evan Parker, John Surman, Mulatu Astatke, Wadada Leo Smith, Anthony Braxton, Han Bennink, Taylor Ho Bynum and Matana Roberts, and frequently performs in the bands of legendary South African drummer Louis Moholo-Moholo. Hawkins and Edwards are newcomers to one of Mazurek’s longest-running musical partnerships. The duo of Mazurek and Taylor stretches back more than 20 years to their work together in various iterations of the Chicago Underground Collective, founded by Mazurek and guitarist Jeff Parker at the famed Chicago nightclub, the Green Mill. Since spinning off from the collective in 1996, the Chicago Underground Duo has released seven remarkably creative recordings and expanded to form Trio and Quartet incarnations with the likes of Parker and bassists Noel Kupersmith and Jason Ajemian. The critically acclaimed drummer and percussionist for the Chicago Underground ensembles, Chad Taylor has been featured in Modern Drummer magazine, performed at major rock and jazz festivals worldwide, and played with a wide range of artists on both the Chicago and New York rock and jazz scenes. He has a BA from the New School of Jazz, where he studied with Joe Chambers, Yoron Israel, Pheeroan Aklaff and Lewis Nash, and a MA from Rutgers. 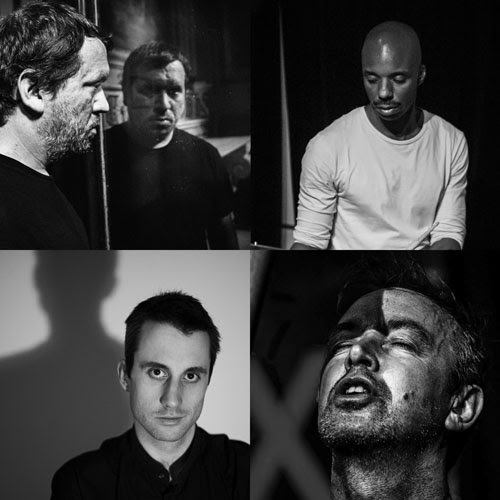 Chad has performed on over 50 recordings and has worked with such artists as Roscoe Mitchell, Tortoise, Jim O'Rourke, Charles Gayle, Derek Bailey, Jeff Parker, Marc Ribot, Mary Halvorson, Malachi Favors, Henry Grimes, and Cooper-Moore. Composer, improviser and multi-media artist Rob Mazurek has drawn inspiration from a multitude of audio and visual styles and sources over the past three decades. Augmenting his cornet playing with computer programming, electronics and an assortment of keyboards, Mazurek's broad electro-acoustic palette defies simple categorization. 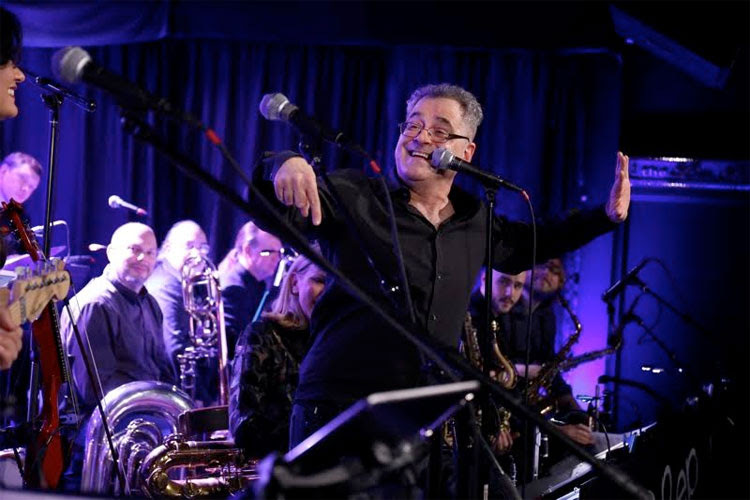 His visionary work is garnering ever-increasing critical acclaim and public attention; in recent years, he appeared on the cover of The Wire magazine and was voted MUSICIAN OF THE YEAR by Italy's top jazz magazine, Musica Jazz. When not touring the world with various groups, Mazurek now lives in Marfa, TX, after having relocated back to Chicago following an extended stay in São Paulo, Brazil. In addition to Chicago Underground Duo and new Chicago / London Underground, he leads, collaborates with and composes for a wide variety of ongoing ensembles, among them Pharoah & The Underground (featuring Pharoah Sanders) and Black Cube SP. His three-piece São Paulo Underground transplants the collaborative and boundary-bursting Underground model onto a Chicago/Brazil axis, combining Brazilian influences from samba to maracatu with the interstellar jazz consciousness of the Sun Ra Arkestra and Mazurek’s own large ensemble, Exploding Star Orchestra. It’s hard enough to categorize all that transpires within the confines of a single Underground piece, let alone trying to delineate a single unifying thread that binds the various iterations together. What does distinguish all of the ensembles’ work, including this latest Chicago / London variation, is their fearlessness, a willingness, even eagerness, to venture into the unknown and find the spark of the new. That trust, despite the novelty of never having played together before, is evident from the opening moments of this recording. “A Night Spent Walking Through Mirrors” begins with abrupt smears of sound from Mazurek’s cornet, which conjure sparse replies from Taylor’s mbira and Hawkins’ piano. Over the course of the next 20 minutes, the interplay builds in chaotic intensity until the ground seems to fall away and leave the listener adrift in a gauzy haze. Jittery explosions burst in, from which emerges Mazurek’s voice intoning a sort of primal chant. “Something Must Happen” is notable for its perpetual, agitated tumult, with aggressive electronic bursts engulfing Hawkins’ frenetic piano, which finally relents in the closing minutes to dissipate in a shimmering curtain of sound. Finally, “Mysteries of Emanating Light” grows from a bold Taylor improvisation, first spawning a knotty turn from Edwards in which he almost seems to be wrestling his strings into gnarled, craggy shapes, until Mazurek and Taylor engage in a captivating mbira/cornet duo. Mazurek’s voice returns, this time echoing and distorting as Edwards and Hawkins parry the ricocheting sounds. It all ends in dissolving calm, an ambiguous but thoughtful moment of leave-taking. What happens when you put the blues under a microscope? 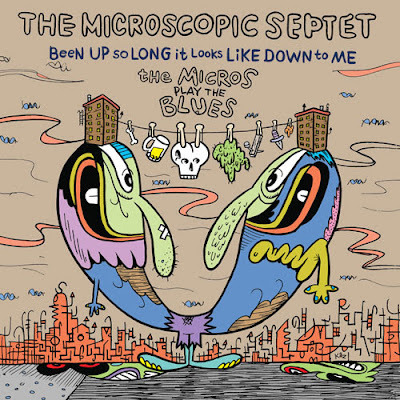 When the lens is wielded by the incisive deconstructivists of the Microscopic Septet, the musical odyssey traverses territory that’s disarmingly strange, pleasingly familiar and consistently revelatory. It takes an unusual band to make news out of the blues, and the Micros deliver a gripping investigation of the form on Been Up So Long It Looks Like Down to Me: The Micros Play the Blues. The new album continues the Micros’ brilliant resurgence, storming back into action in 2006 after a 14-year hiatus to reissue its old and release new recordings on Cuneiform Records. Since then, the radically old-school new-context combo has continued to evolve, extending its reputation as one of New York’s most ardently inventive ensembles of the 1980s to being recognized as one of the 21st Century’s most accomplished, informed, and iconoclastic jazz groups. Throughout, they maintained their distinctive modus operandi: exploring and unraveling jazz’s myriad strains, the Micros re-weave a century of jazz into modern tunes of equal popular and critical appeal. Since 2006, they’ve collaborated with known cartoonists and/or illustrators for their album art, including Art Spiegelman, New Yorker cover artist Barry Blitt, Australian graphic artists Antonia Pesenti and Keith Lobue. The Micros Play the Blues builds on the band’s longstanding love of that most basic and profound musical form, bringing the same reverently irreverent and insistently playful approach to the blues that has marked the Micros’ music from the beginning. This album’s cover art is by Kaz, best known for his comic Underworld and his writing for SpongeBob SquarePants. Along with the co-founders, the seven-piece ensemble features largely the same cast of improvisers with which it emerged from Manhattan’s wild and wooly Downtown scene in 1980. Drummer Richard Dworkin, baritone saxophonist David Sewelson, bassist David Hofstra, and altoist Don Davis (who replaced John Zorn in 1981) have all been along for almost the entire Microscopic sojourn, while Mike Hashim came on board for the 2006 reboot, taking over the tenor sax chair from Paul Shapiro (the only Micros spot that’s seen real turnover). As on previous projects, Johnston and Forrester provide the lion’s share of tunes and arrangements, and they both dig deep into their voluminous catalogs for interesting material. The album opens with Johnston’s late-night cinematic joy ride “Cat Toys,” a piece inspired by Hammond B-3-driven soul jazz and originally written for the credit sequence of a short film about a San Fernando Valley-dwelling space alien with a taste for felines (seriously). Johnston’s cascading 14-bar “Blues Cubistico” features some brawny baritone sax work by Dave Sewelson, while his cheerful soprano sax intro on “Don’t Mind If I Do” sounds like a rent party picking up steam around 11 pm on a Saturday night. Johnston repurposed “When It’s Getting Dark” from his rock band The Public Servants (which featured guitarist Bill Horvitz, vocalist Shelley Hirsch, and several Micros), and the tune retains its predatory rock ‘n’ rhythm vibe. “12 Angry Birds” delivers a triumphant verdict on the enduring power of Ellingtonian cadences, as the piece sounds like a forgotten number from the 1927 session on Victor, complete with a deliciously squally soprano sax solo. Long time Micros fans will be delighted to hear tunes that have been in the repertoire for decades but never recorded, like “I’ve Got a Right to Cry.” While not actually a blues, the piece was a 1950 hit for the great Los Angeles R&B band Joe Liggins and the Honeydrippers. Whatever the music’s origin or vintage, the Micros put their indelible stamp on each piece, with loose and limber arrangements combining stellar craftsmanship and extroverted improvisation. The blues provide another avenue for the band to explore jazz history while forging a sound quite unlike any other ensemble. Prolific composers, Forrester and Johnston had created a songbook of nearly 200 tunes by the time the band called it a day in 1992. During the Micros’ first incarnation they only got around to recording 34 pieces on four albums, which were all released on small labels to an impressive array of critical acclaim. The band’s 1983 debut LP, Take the Z Train, came out on Press Records and featured cover art by San Francisco artist Bill Paradise. “It is as if the entire history of improvisatory music is on parade,” Cadence exclaimed. A live album, Let’s Flip!, followed in 1985, recorded in Rotterdam and released by Dutch label Osmosis Records, which also released 1986’s Off Beat Glory. Stash put out Beauty Based on Science in 1988 with liner notes by “New York School” poet, Ron Padgett, cover art by painter Bob Tuska, and cartoons by Collin Kellogg. In keeping with the band’s perverse ways, they were reaching a vast new audience when they disbanded. Forrester’s theme song for the long-running NPR show Fresh Air with Terry Gross, which continues to be heard by millions of public radio listeners every day, was introduced in 1990. 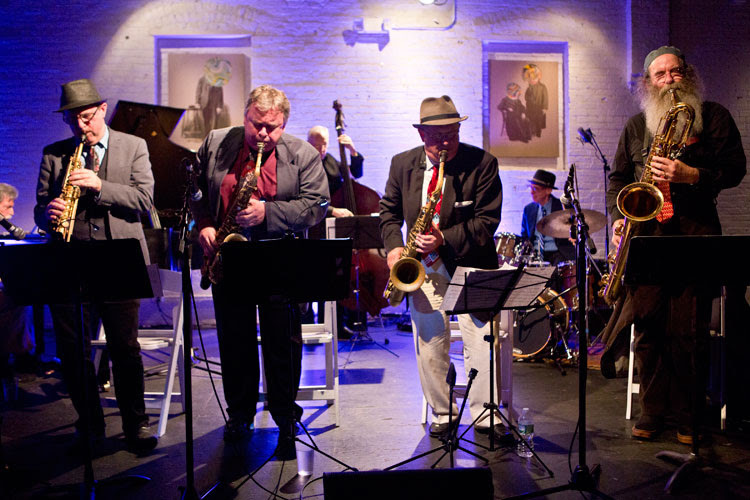 Cuneiform’s decision to reissue the band’s albums on two double albums in 2006, Seven Men in Neckties and Surrealistic Swing, introduced the band to a generation of jazz fans who came of age in the ensuing years. Featuring striking CD artwork by Pulitzer Prize-winning New York cartoonist Art Spiegelman, (creator of the graphic novel Maus), the History of the Micros albums contain all the music from the four original albums and 11 previously unreleased tracks. Crazy times call for outrageous music, and few jazz ensembles are better prepared to meet the surreality of this reality-TV-era than the antic and epically creative Ed Palermo Big Band. The New Jersey saxophonist, composer and arranger is best known for his celebrated performances interpreting the ingenious compositions of Frank Zappa, an extensive body of work documented on previous Cuneiform albums such as 2006’s Take Your Clothes Off When You Dance and 2009’s Eddy Loves Frank. His fifth project for the label, The Great Un-American Songbook Volumes 1 & 2 is a love letter to the rockers who ruled the AM and FM airwaves in the 1960s via successive waves of the British Invasion. Featuring largely the same stellar cast of players as last year’s gloriously eclectic One Child Left Behind, the 18-piece EPBB lovingly reinvents songs famous and obscure, leaving them readily recognizable and utterly transformed. The first installments in what he hopes to be an ongoing project (he is currently working on an Un-American Songbook, Volume 3), these two volumes give a whole new meaning to Swinging London. Volume 1 kicks off with guitarist/vocalist Bruce McDaniel belting Lennon and McCartney’s “Good Morning, Good Morning” (Palermo obsessives will notice that the track opens with a bleating goat, which is rumored to be the same creature heard at the end of One Child Left Behind…how’s that for continuity?) The Beatles provide the widest thread running through the project, including an instrumental version of “Eleanor Rigby” that’s a tour de force by violinist Katie Jacoby (who also tears up King Crimson’s prog rock masterpiece “Larks’ Tongue in Aspic, Part 2”). Palermo deploys his surging horns on an ecstatically sanguinary romp through Blodwyn Pig’s “Send Your Son to Die,” and delivers another blast of brass on the extended arrangement of Nicky Hopkins’ “Edward, The Mad Shirt Grinder,” a piece introduced on Quicksilver Messenger Service’s album Shady Grove. A pedant might quibble that a recording by a San Francisco band doesn’t belong in The Great Un-American Songbook, but was there a more British Brit than Hopkins, the era’s definitive session keyboardist? Anyway, the picaresque piece provides the players with a consistently inspiring vehicle for improvising, including Ben Kono’s torrid tenor, John Bailey’s thoughtful and beautifully calibrated trumpet, and another arresting violin solo by Jacoby. Volume 2 opens with another rule-breaking wild card, as Palermo mashes up the Berkeley punk band Green Day’s bitter indictment “American Idiot” with the point-counterpoint exchange of the West Side Story anthem “America.” In his completely unnecessary defense, Palermo points out that he’s inspired by the version of “America” that Keith Emerson recorded with his pre-ELP band The Nice, rather than the Broadway cast album or film soundtrack. Jethro Tull’s “Beggar’s Farm” features an appropriately charged Ben Kono flute solo, while also unleashing Bruce McDaniel’s vocals, which register just the right tone of reverent irreverence (or is that irreverent reverence?). There are far too many highlights to mention them all, but Napoleon Murphy Brock’s vocals on The Crazy World of Arthur Brown’s “Fire” sounds like a lost Zappa outtake (Zappologists will catch numerous Zappa quotes and references laced throughout the project). Speaking of irreverence, Palermo populates the Songbook with a vivid cast of characters providing some running commentary, including his fey executive producer, Edvard Loog Wanker III, Pete Best, and Ringo Starr’s long-lost cousin, Mick Starkey, who ends the album with a brief blast of Beatlemania on “I Want to Be Your Man” and “Good Night.” But don’t miss the hilariously majestic hidden track featuring the cranky but always-game crooner Mike James (last heard pondering the meaning of it all on One Child’s “Is That All There Is?”). By the end of the long and winding road through Palermo’s musical backpages there’s no doubt that his nostalgia is our delight, as vintage rock songs make for state-of-the-art jazz. In many ways, Palermo’s career is a case study in getting the last laugh. Born in Ocean City, New Jersey on June 14, 1954, he grew up in the cultural orbit of Philadelphia, which was about an hour drive away. He started playing clarinet in elementary school, and soon turned to the alto saxophone. He also took up the guitar, and credits his teenage obsession with Zappa to opening his ears to post-bop harmonies and improvisation. Palermo caught the jazz bug while attending DePaul University, and took to the alto sax with renewed diligence inspired by Phil Woods, Cannonball Adderley, and Edgar Winter (the subject of an upcoming EPBB project). Before he graduated he was leading his own band and making a good living as a studio player recording commercial jingles. But like so many jazz musicians he answered New York’s siren call, moving to Manhattan in 1977. After a year of playing jam sessions and scuffling, Palermo landed a coveted gig with Tito Puente, a four-year stint that immersed him in Afro-Cuban music. Palermo made his recording debut in 1982, an impressive session featuring heavyweights such as David Sanborn, Edgar Winter and Randy Brecker. As a consummate studio cat and sideman, he toured and recorded with an array of stars, including Aretha Franklin, Eddie Palmieri, Celia Cruz, Lena Horne, Tony Bennett, Mel Tormé, Lou Rawls, Melba Moore, The Spinners, and many others. As an arranger, he’s written charts for the Tonight Show Band, Maurice Hines, Eddy Fischer, and Melissa Walker. Employed frequently by bass star Christian McBride for a disparate array of projects, Palermo has written arrangements for a James Brown concert at the Hollywood Bowl, a Frank Sinatra tribute featuring Kurt Elling, Seth McFarland, John Pizzarelli, and a 20-minute medley of Wayne Shorter tunes for the New Jersey Ballet. The Ed Palermo Big Band earned international attention with its 1997 debut The Ed Palermo Big Band Plays Frank Zappa on Astor Place Records. With Palermo’s brilliant arrangements and soloists such as Bob Mintzer, Chris Potter, Dave Samuels, Mike Stern, and Mike Keneally, the album made an undisputable case for the Zappa jazz concept. His first album of Zappa tunes on Cuneiform Records, called Take Your Clothes Off When You Dance, came out in 2006, followed in 2009 by Eddy Loves Frank. But while Palermo has written more than 300 Zappa charts, he’s anything but a one-trick pony. Recent releases like 2014’s Oh No! Not Jazz!! and 2016’s One Child Left Behind, both on Cuneiform, featured a bountiful selection of his original compositions and material by composers not named Frank Zappa. Nothing demonstrates the ensemble’s ongoing vitality better than the stellar cast of players, with longtime collaborators such as violinist Katie Jacoby, baritone saxophonist Barbara Cifelli, drummer Ray Marchica, and keyboardist Ted Kooshian. 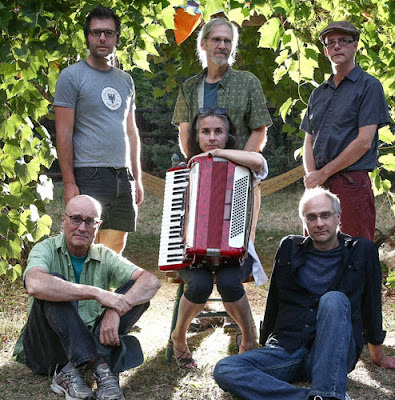 Many of these top-shelf musicians have been in the band for more than a decade, and they bring wide ranging experience, expert musicianship and emotional intensity to Palermo’s music. From the first note, well, after the goat, the band manifests greatness in a truly Un-American cause. Clouds scud across a storm-wracked sky, sometimes exposing shards of blue, but most often, darker greys lurk behind. Hoping Against Hope is a darkly beautiful and complex album that offers hope against hope, against the hope that things will somehow work out for the best, or that someone will somehow fix it all for us. In a time when hope seems both scarcer and more necessary than ever, Thinking Plague don’t offer the fleeting consolation of a fairy tale, but the enduring and tangible value of an unvarnished and courageous artistic response. By creating art, something of beauty, while amidst winds of despair, Thinking Plague has evolved its own means to survive grim times and marked out a path for us. Recorded music, however good, can’t mend a broken world, but a record as brilliant as Hoping Against Hope offers us artistic refuge, an imaginative space where we can restore body, mind and soul and form our own personal response to a world in crisis. Thinking Plague is a storied band, whose thirty-five year history has seen it cleave consistently to the extreme limits of what is possible to do within rock music. Much of the music it released has owed more to traditions external to rock, such as folk, chamber music, and particularly, the avant-garde tradition of twentieth-century classical music. Its thread has always been twisted into a thicker yarn, variously labeled with terms such as ‘art rock’, ‘avant-rock’, ‘avant-progressive’ and also ‘Rock in Opposition’(RIO), a term associated with European outfits such as Henry Cow, Art Bears, Art Zoyd and Present who fused elements and instruments from rock and 20th century classical music with compositional rigour and DIY aesthetics. 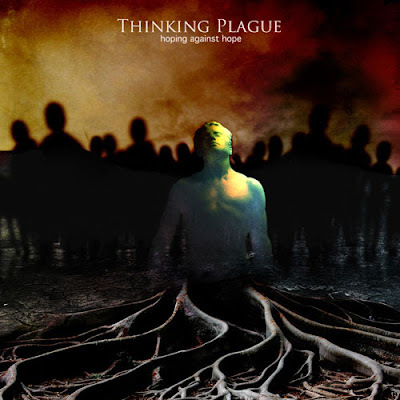 Thinking Plague are often cited as the leading light of the American arm of the ‘Rock In Opposition’ movement, closely aligned with the fellow Denver, Colorado ensemble, Hamster Theatre, with which they share personnel. Genre-defying and, above all, unique, Thinking Plague’s music can be described equally as post-rock and/or post-classical. Founded in 1982 by Mike Johnson and the legendary Bob Drake, they have been a continuous presence in the underground since then, although many years have elapsed between recordings, and only Johnson remains from the original line-up. Their third album, 1989’s In This Life, was released on Chris Cutler’s London-based ReR label and widely distributed, and the band enjoyed global attention in avant-rock circles. By 1990 Drake was working as a recording engineer in Los Angeles, and singer Susanne Lewis was in New York City, pursuing her own musical vision. It was nearly ten years before their critically acclaimed fourth album, In Extremis (1998), was released with a new line-up, inaugurating Thinking Plague’s ongoing relationship with Cuneiform Records. 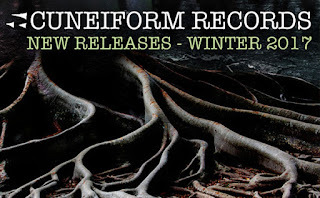 Cuneiform released a further two studio albums -A History of Madness (2003) and Decline and Fall (2012)- and a compilation of their early studio recordings, called Early Plague Years (2000), and in 2015 reissued In This Life. Leader and writer Johnson is influenced by harmonically adventurous twentieth-century classical music, as can be heard in the ambiguous tonality of the music, and the rigour of his dense, complex compositions. Johnson, like most rock musicians, is self-taught, but very knowledgeable, and his fusion of rock, folk and classical music is as seamless as it is compelling. The electric guitar, whose hard-edged, mordant timbres cut deeper and more savagely than anything available to the classical arranger, doesn’t dominate the band’s sound, but takes its place as one voice among many, while the drum kit is exploited with subtlety. The arrangements we hear on Hoping Against Hope, as on Decline and Fall (the previous album), are those we will hear live. Even when singer Elaine di Falco’s accordion is written and recorded in multiple voices, the parts are realizable by a single instrument. Conversely, Johnson and Bill Pohl’s tightly scored twin guitars are panned out wide enough for the listener tobalance the pursuit of an individual voice against the ensemble texture, which is the creative focus, a carefully crafted polyphony served by each instrumental voice. There is a familiar vocabulary in play, a harmonic palette and a phraseology that has evolved considerably over the band’s lifespan without extreme points of rupture, despite major changes and sometimes long gaps between releases; this is clearly the same band that we heard in the 1980s, but Johnson is writing from a creative position that is fruitfully removed from that he occupied even four years ago. Completing the core line-up for this album are long-term members Mark Harris (reeds) and Dave Willey (bass), as well as more recent recruit Robin Chestnut (drums). Pohl’s addition brings a second electric guitar to the texture for the first time, enabling more sinuous scoring, rather than making the sound more ‘rock’. Although other musicians contribute parts, there’s a strong sense of continuity, revealing a well-drilled ensemble performing a coherent body of work. As demanding as this music may be, it is made to sound easy, and more importantly, beautiful. Dark times globally made it hard to produce an optimistic album, but this record is still a constructive critique, rather than a lament or a turning away. With its mention of externalities, ‘Commuting to Murder’ highlights the ideological congruity of militarism and capitalist economics, while ‘A Dirge for the Unwitting’ notes, and declines to condemn, the disaffection that impels some towards the death-drive of religious fundamentalism. ‘The Echoes of Their Cries’ and ‘The Great Leap Backwards’ seem overwhelmed by the horrors of military intervention and ‘post-truth’ culture (respectively), to the extent that they eschew image or allusion; but ‘Hoping Against Hope’ asserts the endurance of the critical observer, however isolated or disheartened, and vests its faith in the persistence of a marginalized wisdom. In support of such lyrical texts, and in their own right, Johnson’s compositions are committed to emotional truth in all its complexity, rather than dictating to the listener what they should feel about the topics of the songs. And although this is not a ‘feel-good’ album, its hopeful inclination is reflected in a less abstract approach than on previous records. There are extended sections in regular meters, and periods of stable tonality offer the listener a continuity to grasp that is perhaps analogous to the experience of the narrator in ‘Hoping Against Hope’. Despite the complexity of its music, Thinking Plague is an astoundingly impressive live band. It has played worldwide at avant-garde and progressive music festivals, and toured in the US and Europe. The complex arrangements featured on this album are written for live performance, where the passionate commitment and instrumental precision that the works demand can be witnessed in their full fury. Most recently, Thinking Plague toured Texas, performing in Dallas’ Kessler Theater, Austin’s Salvage Vanguard, and other cities, and played numerous shows in Colorado, at Boulder’s Dairy Center for the Performing Arts and other venues. 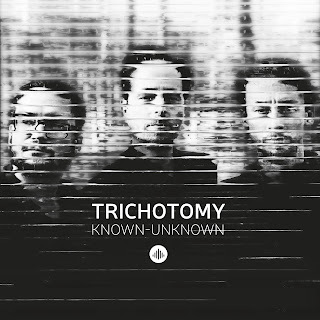 They’ve performed at such international festivals as Rock in Opposition and Les Tritonales in France, Gouveia Art Rock Festival in Portugal, and Nearfest, Cuneifest, ProgDay, Seattle’s Seaprog, and The Olympia Experimental Music Festival in the USA The demanding, rehearsal intensive nature of their material makes their recordings infrequent, and opportunities to hear this important band scarce: performances are often made to capacity crowds as a result. Thinking Plague is looking forward to touring the US East Coast in 2017, and performing at festivals in the US and abroad. Sometimes a work of art enables us to articulate our thoughts and feelings in times of upheaval and chaos. In an era when the world has seemingly come off its hinges, an album like Hoping Against Hope offers listeners the consolation that they are not alone. But more than that, this intellectually complex work offers tools to help us make sense, affectively at least, of the whole sorry mess. Knowledge, as the philosopher Michel Foucault said, is not for understanding: knowledge is for cutting. And in Hoping Against Hope, Thinking Plague supplies its listeners with a finely honed scalpel. MONTRÉAL EN LUMIÈRE starts in two weeks!